Corinne Lea has one more week to raise $1 million, or face losing the 80-year-old Rio Theatre to developers. When Vancouver's beloved Rio Theatre went up for sale, Corinne Lea knew exactly what she needed to do: figure out a way to buy the building. 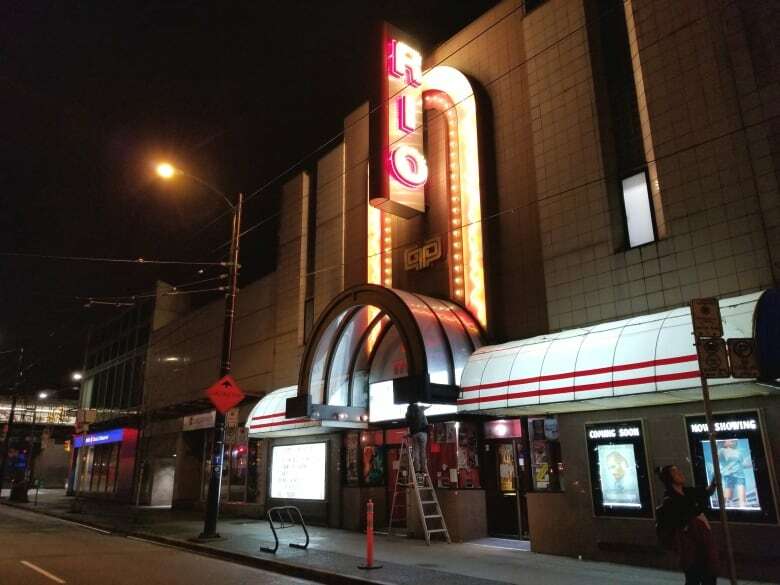 One of the last independent theatres on Canada's West Coast, the Rio was built in 1938 in the city's bustling Commercial Drive neighbourhood. Since then, it's not only played host to everything from independent cinema to big blockbusters, but since Lea took over the programming in 2008, the 450-seat theatre has become a favourite spot for top indie bands, improv comedy and viewing parties for events including the Oscars and World Cup soccer matches. It's also a Vancouver International Film Festival venue. Then last year, in the midst of Vancouver's blistering hot property market, the landlord — former owner of the popular Fifth Avenue, Ridge and Park theatres, and founder of the Vancouver International Film Festival Leonard Schein — put the building up for sale. Lea says that after the city gave the green light for higher-rise development in the area, a developer stepped in to make an offer. Schein gave Lea one week to counter. Lea sounded the alarm on social media, asking for donations and investors to help save the theatre, and in five days collected 22,000 signatures and testimonials under the #SavetheRio banner. Her group's offer to purchase was accepted, and they were given just 60 days to raise money in order to get approved for the mortgage. Lea needed to raise $3 million for the deposit — $1 million in donations from the public, and an additional $2 million from investors. "To stop developers from giving it the same fate as other beloved cultural institutions in the city, we need to take action!" called out organizers on the campaign website. The original deadline for the deposit was Tuesday, April 3, and in a last-ditch attempt to meet it, American filmmaker, actor and author Kevin Smith performed two free shows; the theatre also hosted a 30-hour marathon of performances. 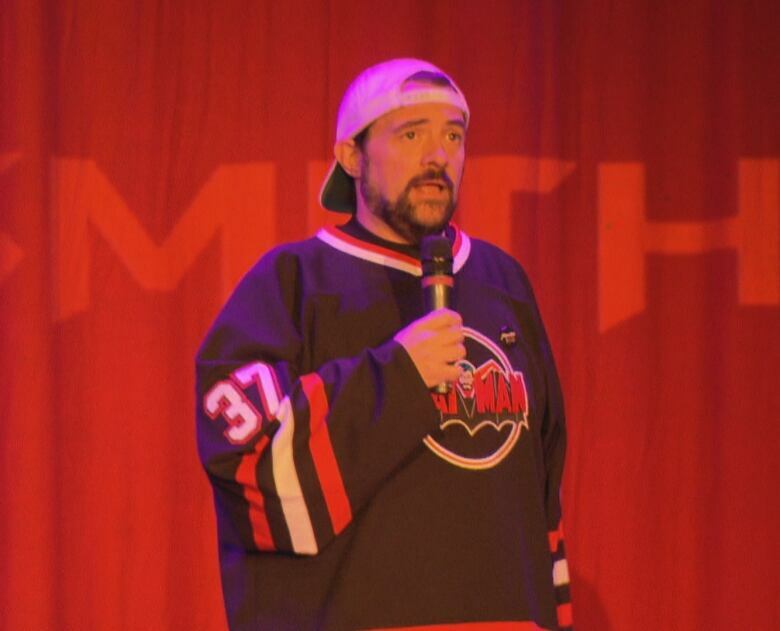 "Kevin Smith was a huge highlight. He took the time out to like fly into Vancouver and do two back-to-back sold-out shows — all for free. He did that on his own time, and he did it just to help save the Rio. It was amazing," says Lea, who says that night alone they raised over $50,000. Comedians Eric Fell and Patrick Maliha also hosted a marathon that went from 6 p.m. Sunday night until midnight Monday. "And our two hilarious hosts did not sleep the entire time, and they never ran out of jokes, which was amazing," she says. "And there were actually a couple of customers who lasted the whole 30 hours, too. It was just a good spirit." So far the #SavetheRio Indiegogo campaign, which also drew Twitter support from Hollywood superstar Ryan Reynolds, has raised over $428,000 — an enormous sum, but not enough for the deposit, so the owner gave them a two-week reprieve, until April 16. In an effort to attract more donors, incentives from gift-certificates to tote bags are being offered on the fundraiser site. Twenty-five percent of funds raised will go directly to The Rio business (Shameless Lee Productions Ltd.) to cover the costs of the purchase and campaign; the other 75 percent will be donated to The Vancouver Art House Society, a non-profit that will invest the donated funds to purchase the property and become an equity shareholder. "It's so amazing and beautiful — we get everything from someone making a special trip down here to give us 25 bucks to people who hand us a $500 cheque," says Lea. "And all the artists who have donated their time and their art. It's such a community spirit. It's really inspiring." Now Lea is in a mad dash to raise the extra funds and says that if everything goes according to plan, it would be business as usual at the Rio, whose tag line is "an experience you can't download." "We would just keep rocking it. We just want to keep doing what we're doing and keep providing the community with an awesome venue with great programming," says Lea. "I'm positive it is going to work. From the beginning I've said failure is not an option — and this has been such hard work, I didn't go through all of this just to give up in the end. No, this is going to happen."